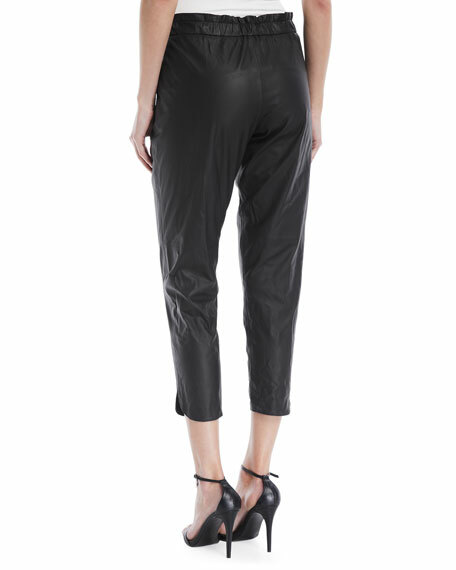 Ramy Brook "Allyn" pants in lamb leather. Approx. measurements: 11" rise; 26.5" inseam; 34" outseam; 12" leg opening. Relaxed through hips; tapered to hem.